Bordeaux is a romantic port city located on the banks of the Garonne River in the south-western region of France. Bordeaux is best known as one of the largest wine-producing regions in the world. Aside from its award-winning vintages and blends, it also offers much in terms of history, architecture, culture and French cuisine. Cheap flights to Bordeaux are now available for a limited period of time, so book your flight today and experience the romantic charm and fine vintage wines of this historic European city! Bordeaux is home to Bordeaux–Mérignac Airport (BOD), located 25 minutes from the city centre by car. Bordeaux is globally recognised as one of the finest wine-producing regions in the world, and a visit to Bordeaux is not complete without a local sampling of its best vintages and blends. 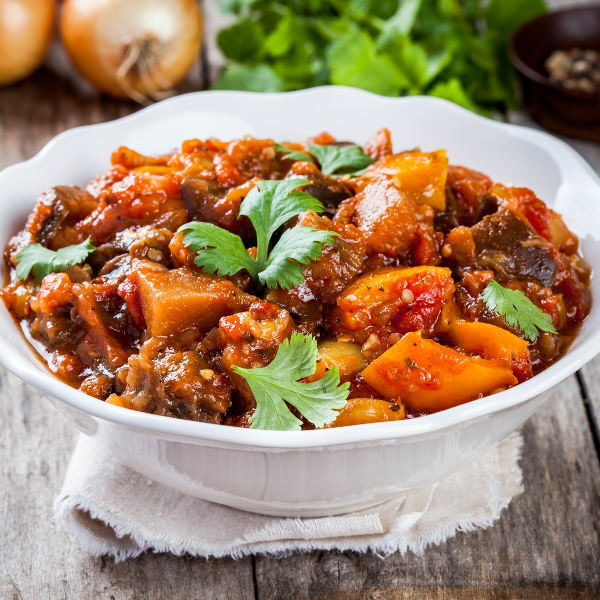 In addition to wine, Bordeaux is a culinary capital, serving locals and visitors only the finest French cuisine and international dishes. Second to Paris, Bordeaux is the city with the most preserved historical architecture in France. 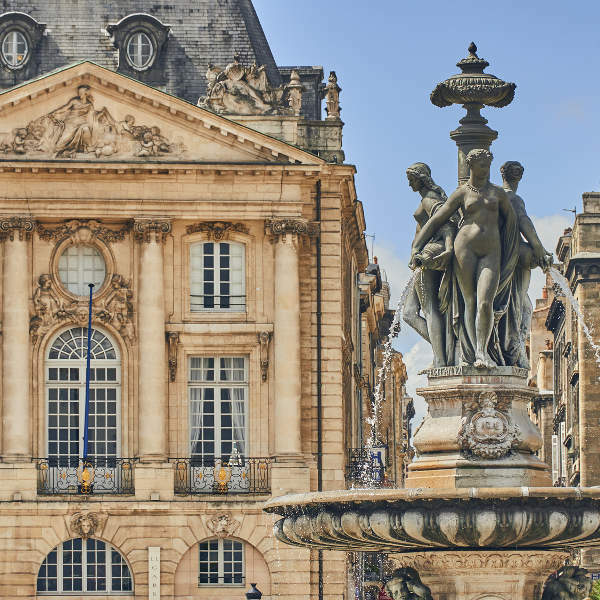 Bordeaux’s fascinating history is told through its enduring Baroque-styled buildings, plazas and historic monuments. Bordeaux experiences an ocean climate, resulting in mild winters, hot summers and an overall high level of humidity, experiencing high levels of summer rainfall. The busiest time of year in Bordeaux is during the hot summer months of July and August. During this time tourists flock to the region to enjoy the warm temperatures and the summer wine festivals that take place. Due to the high influx of tourists at this time, hotel rates tend to go up and a high volume of crowds in the city and in wine cellars can make for a crowded vacation. A quieter time to visit is during the autumn months (September to November) and spring months (March to May). The month of June is the most ideal time to visit, as temperatures are not too hot and tourist crowds are smaller, not to mention the many local wine festivals and flea markets that take place during this time. Tucked to the side of the Garonne River in southern France is the picturesque, romantic city of Bordeaux. 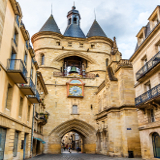 As though plucked from a fairy-tale, Bordeaux’s rustic European architecture and sprawling green hills and vineyards attract thousands of visitors every year seeking an idyllic getaway. Bordeaux is nothing less than a paradise for wine lovers and connoisseurs. Producing and exporting the world’s finest French wine, Bordeaux is surrounded by famous French wine farms that offer tasting and samples of their vintages to visitors. Local wine tours of the surrounding farms can be arranged with wine tour guides in the city, some lasting up to two weeks, visiting each and every vineyard. 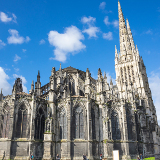 Not to be mistaken as a purely-wine destination, Bordeaux offers a wide variety of city attractions such as the Gothic Bordeaux Cathedral and the Pont de Pierre Bridge overlooking the Garonne. Compare several airlines, and book your cheap flights to Bordeaux online at Travelstart! Bordeaux is an extremely safe city to visit however, tourist-related petty crime is always something to be mindful of. Keep a close eye on bags and backpacks and do not turn your back on luggage. Do not store wallets, purses or other valuables in unsecured backpacks that can be opened. If you do store valuables in a backpack, then secure it with a small lock or cable ties. Be wary of pick-pockets in busy areas. The city is extremely safe to walk through during the day, but avoid walking the streets late at night. Do not leave drinks unattended in bars and restaurants and, as a rule, do not accept drinks from strangers. Bordeaux’s historic centre is surrounded by a plethora of distinctive, eclectic districts each offering its own unique character. If opulence and elegance is what you’re after, opt to stay in the glamorous Golden Triangle district. Here you will be on the doorstep of Bordeaux’s most luxurious shops and within walking distance to Bordeaux’s must-see city attractions. If you are looking for more edge in your accommodation, the gentrified but charming Saint-Michel district is just for you. Historically a neighbourhood of immigrants, this multicultural district is known for its hip North African and Latin American influences in its architecture and culture. Mingle with the locals in colourful pubs and dive bars serving up cocktails with a local flavour, and browse the weekend flea markets for some quirky souvenirs and mementos to take home. Bordeaux offers a variety of public transport options to locals and visitors. The cheapest way of getting around is by bus. 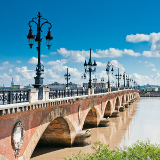 Bordeaux’s buses follow routes around the city and stop off at most major city attractions. Single fare tickets go for about 1.50 € but if you plan to use the bus multiple times it is recommended to rather buy a collection of ten tickets (€12.40) interchangeable for an hour, or buy a day ticket which allows for all-day travel (€4.60). Another popular method of getting around is by tram. There are no determined stops for the tram: to enter simply wave the driver to stop, and when you would like to exit then simply tell the driver, who will then stop the vehicle. Bicycle hire is highly encouraged by the city, and Bordeaux has many bicycle lanes, making it extremely easy to bike around the local sights. Car hire is possible in Bordeaux, but is extremely expensive. 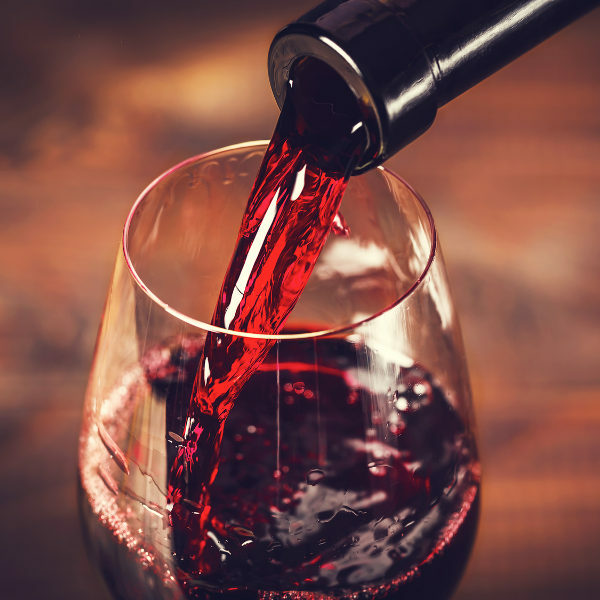 If you would like to visit one of the local wine farms speak to your hotel about shuttling services offered (it is not encouraged to drink and drive).